Sen. Jeanne Shaheen (D., N.H.) has introduced a bill to expand the Justice Department's authority to investigate RT America for possibly violating the Foreign Agents Registration Act. 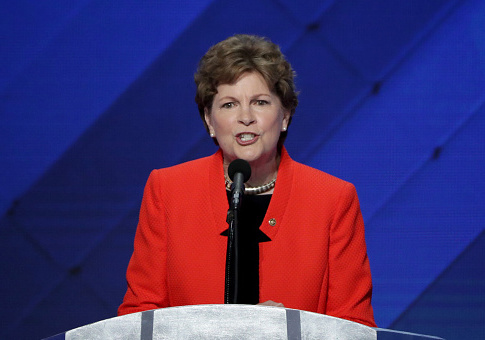 Shaheen's bill, the Foreign Agents Registration Modernization and Enforcement Act, would allow the Justice Department to compel organizations to turn over information regarding their funding and foreign connections, according to Politico. In a report from the Director of National Intelligence discussing Russian influence on the 2016 presidential election, RT America, a Russian English-language news outlet, was accused of possibly skirting reporting requirements to advance Russian interests. RT News, the parent organization of RT America, is funded by the Russian government and was seemingly supportive of President Donald Trump in the general election. "RT News has made public statements boasting that it can dodge our laws with shell corporations, and it's time for the Department of Justice to investigate," Shaheen said. "My bill provides the authority needed to request documentation of RT News and find out who they're accountable to." The New Hampshire senator has repeatedly called for investigations into Russian involvement in the general election, but her bill is unlikely to advance through Congress. This entry was posted in Politics and tagged 2016 Election, Jeanne Shaheen, Russia. Bookmark the permalink.